It is not a hidden fact that the Philippine brand of basketball is largely influenced by the NBA due to its marketing aspect. These two leagues set their ground rules primarily to entice their target audience to patronize the games. The sad aspect of this business part of basketball is the ground rules made teams become too much in love with big men and became a prison to the competitiveness of the Philippines in the international arena. See first part of this series: Use of Dominant Bigman in the PBA becoming Extinct? 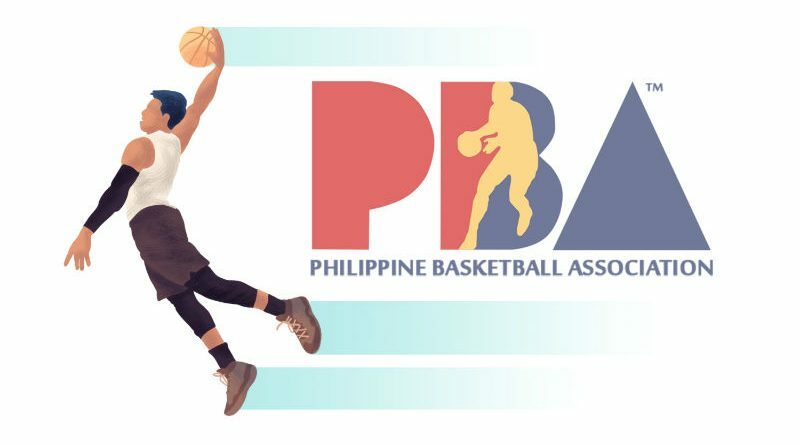 The implementation of this rule is the best example of the competitive hindrance outside of Philippine soil as it intended to encourage players to go one-on-one that could create fantastic plays and make the game look better on TV. The illegal defense back in the 80s and 90s was a ground rule in the NBA that made teams to play man-to-man defense. It simply meant every player on the court had to guard someone, not some place. In case one wants to help a teammate and create a double team, he has to go hard to cover the man with the ball or recover to his man. A “soft” double team is not allowed, nor is double teaming a man without the ball. A player could not be caught between players, guarding a space or, say, couldn’t stand in the paint guarding no one, like how it is done with a zone defense, for three seconds. This was instituted to encourage isolation plays that would allow the skillful, athletic players like Michael Jordan to create dunks and fadeaways that was going to make the audience watch games. Of course, the PBA adopted the same set of rules for commercial reasons. While the NBA could still get away with this rule given their supreme athletic ability, like say no international team can still guard the likes of Jordan, Karl Malone or Charles Barkley even with the zone defense, the PBA one-on-one specialists do not have the same luxury. Players who thrived in the illegal defense rule like Alvin Patrimonio, Samboy Lim or Jojo Lastimosa do not have the same leverage when they go up against players from China, or even South Korea, who often frustrates the Philippines when the iso ball is taken away by allowed zone defense in international rules. This illegal defense is also the main culprit why a lot of elite teams in the 80s and 90s carry two legitimate big men, the center and the power forward, at all times in their line-up. This was the bread and butter of these teams to success. The thing with this style is these two bigs are generally employed, not just because of their basketball skills, but their size. Teams tend to take advantage of the bigger player because, without the double team, the team can simply isolate the big one to post up an inferior opponent and back him down for a basket. Again, another aspect that the Americans can get away with given their size but not Filipinos. This illegal defense is also the reason why small men are discouraged to shoot afar and encouraged to drive instead. That was what coaches generally ask from their players. The closer the shot to the basket, the better shot attempt it was perceived. Shooters too often have hands in their faces because of the man-to-man defense style. Add the fact that a defender can put his feet in the landing spot of a shooter, the combination makes the perfect obstacle in attempting a trey. The post play also made big guards, although slower but stronger, more desirable than smaller, faster ones. Yes, even guards, are encouraged to post up and back down an opponent, or take the ball to the paint by slashing or driving to the basket rather than attempt a three. It also discourages becoming too aggressive in fastbreak situations. Coaches prefer a half-court set up that will lead to a shot that will be closest to the basket as it was perceived to be the best shot available. Attempting a three point shot back during those times is not for every team. Unless your name is Reggie Miller, Ray Allen, or Allan Caidic, coaches might occasionally yell at you if you take a three back in the 80s-90s. Heck, he may even sub you out for attempting it even if the attempt is a wide-open one. Only a select few in the PBA like Caidic, Al Solis and Ronnie Magsanoc, are among the few who a coach want to be freed up by having their defender commit a double team and leaving them open, or by setting up a screen or series of screens in order to attempt a three point shot. The pull-up three, now a common fixture among elite shooters, was often scowled at before. Only a few, like Ricardo Brown for Great Taste, can get away with it back then. The business part of the PBA generally discouraged Filipinos from developing a liking for the three point shot and generally prevented them to make a concentrated effort to polish their three point shooting skills as it was just a novelty back then.